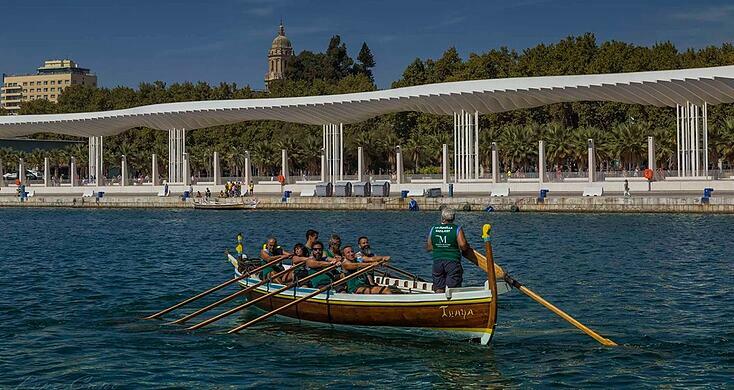 Did you know that there is a type of boat typical of the province of Malaga? 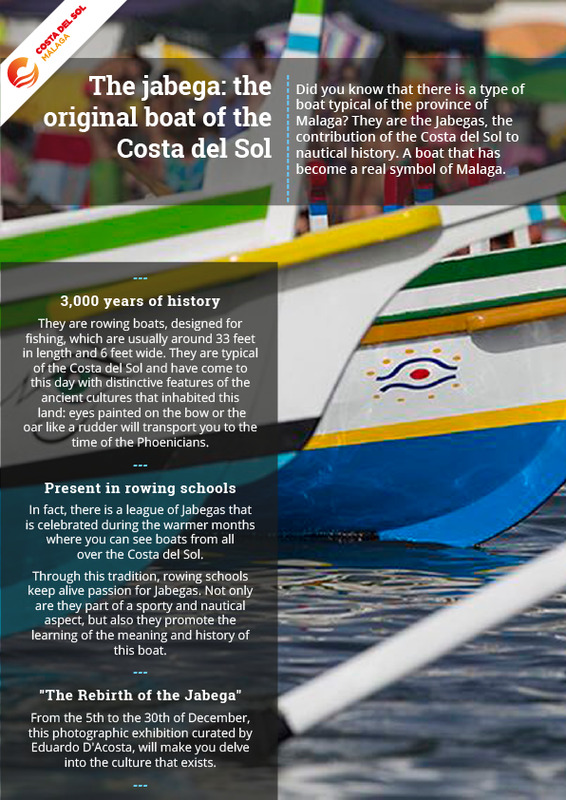 They are the Jabegas, the contribution of the Costa del Sol to nautical history. A boat that has become a real symbol of Malaga. Throughout the centuries, many civilizations have settled on the Costa del Sol. The Jabegas are a living testimony with 3,000 years of antiquity, whose roots lie in the Phoenician era, surviving the passage of time and becoming a flagship of Malaga. They are rowing boats, designed for fishing, which are usually around 33 feet in length and 6 feet wide. 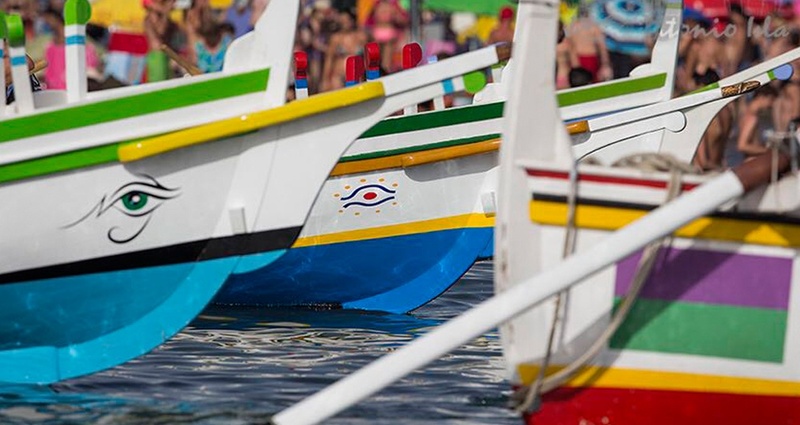 They are typical of the Costa del Sol and have come to this day with distinctive features of the ancient cultures that inhabited this land: eyes painted on the bow or the oar like a rudder will transport you to the time of the Phoenicians. Currently, the Jabega is preserved as living history of Malaga and its fishing origin has given way to a more sportive approach. In fact, there is a league of Jabegas that is celebrated during the warmer months where you can see boats from all over the Costa del Sol. It may not be the Oxford vs. Cambridge boat race, but you will still live a spectacle of great uniqueness. Through this tradition, rowing schools keep alive passion for Jabegas. Not only are they part of a sporty and nautical aspect, but also they promote the learning of the meaning and history of this boat. The Port of Malaga will soon host a space where you can know more in detail about everything related to the Jabegas, seen from a triple approach: tourism, sports and culture. Exhibition "The Rebirth of the Jabega"
If you are coming to Malaga in December you will be lucky enough to enjoy the exhibition 'El Renacer de la Jabega'. From the 5th to the 30th of December, this photographic exhibition curated by Eduardo D'Acosta, will make you delve into the culture that exists around the Jabega. Thirty photographic works that will bring you closer to the magic of the Jabega, a boat that symbolizes the bond of a town with its history and the uniqueness of the Mediterranean character. Don’t miss it!